While taking photos might have started as a pastime, your passion for it might make you wonder how you could turn photography into a full-time gig. This guide tells you what you need to do to start a photography business. How Much Money Does it Take to Start a Photography Business? Getting into photography might seem like a breeze. After all, it’s easy to get your hands on fancy equipment and there’s an array of professional classes readily available. But there’s a lot more to think about when it comes to starting a successful business — particularly in an overcrowded market like photography. Let’s take a look at everything you need to know about how to start a photography business. First and foremost, to be a successful owner of a photography business, you need to take breathtaking images. But you also need some business acumen. This means you need to write a photography business plan and think about your target customer, your budget, and your marketing as much as you think about composition, light, and exposure. Because photographers face a lot of competition, one of the savviest decisions you can make is to specialize in a particular type of photography. This makes it easier for you to find an audience for your work and target it with promotions and marketing. There are many types of photography in which you might specialize, from broad topics to niche disciplines. Here are a few directions you could take. As a wedding photographer, you are expected to compose intimate, unique shots throughout the wedding festivities. These photographers thrive in fast-paced environments and find satisfaction in capturing the anticipation and happiness of others. While shooting images of love and joy sounds ideal, weddings are a rarity for their clients, so photographers need to be able to handle high-pressure situations. Similar to wedding photography, an event photographer is responsible for capturing noteworthy moments at a particular event. Whether that be birthday parties, graduation events, or retirement celebrations, it is important to be able to capture both still and moving images with superb clarity. With an eye for detail and a fascination with fashion, a fashion photographer is responsible for capturing images that flatter designer trends and show clothing in a unique way. In most cases, fashion photography is used in advertisements, fashion magazines, and other outlets that display upcoming trends. A landscape photographer captures images of environments throughout the world, whether they be remote natural spaces or more developed ones. Landscape photographers usually travel extensively to depict the beauty of many places. If capturing the personality and characteristics of other people interests you, you might consider a career in portrait photography. These photographers are responsible for taking photos that highlight facial features and expressions of a person or group of people. If you’re patient and like kids, you might think of specializing in children’s portraits, which are often in high demand. A sports photographer attends games, matches, and meets to take photos and videos of players in action and the environment surrounding them. In most cases, sports photographers work for publications dedicated to sports or to a local area. Do you have an eye for all things food related? Those who invest their expertise in food photography are responsible for highlighting new, funky foods for different magazines, restaurants, or other establishments in the food industry. Of course, you aren’t limited to these specialties, but it’s important to establish yourself as an expert in an area in order to build your brand. And just because you label yourself as a specialist in one type of photography, it doesn’t mean you can’t take on other projects. For example, many wedding photographers also work other events because of their similarities. Some wedding photographers also do portraits (particularly engagements or family portraits) since they’ve built relationships through the events they photograph. The cost of starting a photography business may seem straightforward. You just need some equipment and then you’re good to go, right? But equipment is just one of four big costs for your business. The others are legal costs, insurance, and studio space. Perhaps you have a rad camera and a few lenses, but is that enough to start a photography business? Buying the right photography equipment — and not breaking the bank — can be a daunting task. Aside from the basics, there’s a lot of additional equipment that might sound fantastic but will increase your expenses. The right kind of equipment for your business depends on the work you do and your specialty. Start simple: Before you dive into the abyss of camera gadgets and fancy photo enhancers, go back to the basics. 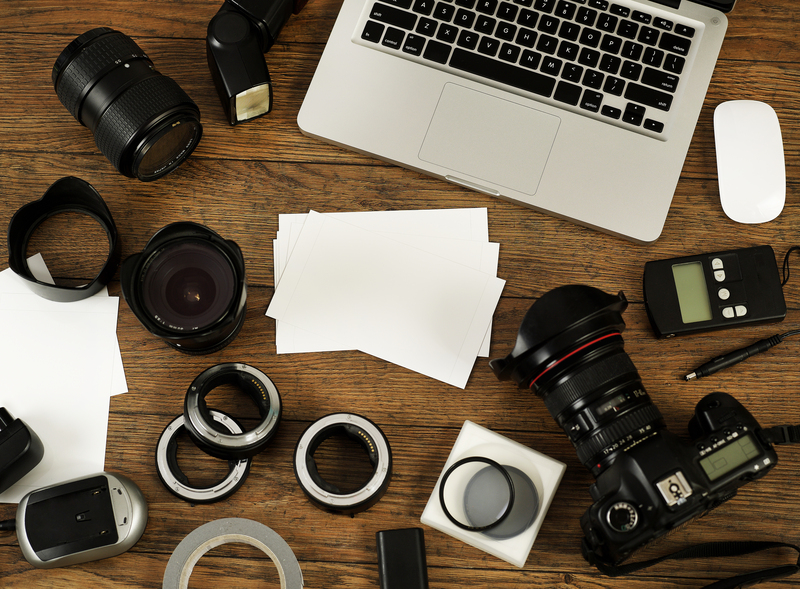 Think about the essential components you need for a photo shoot or event. Luxurious, eye-catching equipment might be a great touch, but you can purchase high-end equipment down the line, as your photography business begins to profit. Prioritize reliability: Take the time to read reviews about products and get a solid understanding of what equipment is worth investing in. You ideally want equipment that is durable and has a long lifespan. Think about hidden costs: Take maintenance and repair costs into consideration when you’re looking at photography equipment. Network with other professionals to get a realistic idea of the ongoing costs for certain equipment and use this to determine what to buy initially. Prioritize your equipment: After you assess the reliability and overall cost of each piece of equipment, write up a prioritized list of what you need. Buy the first few items that are essential to your business and prioritize other purchases for later. Look into renting: If these costs seem overwhelming, you always have the option of renting equipment for your photography business. Check out local businesses that rent out camera gear in your area. Be sure to compare prices and read reviews thoroughly, so you are selecting the best equipment for your particular event or gig. Licensing and legal requirements for your photography business depend on the state where you operate. In general, there isn’t a specific photography license to obtain, but there are a few legal issues to consider, which usually come with a cost. Of course, this guide is meant for educational purposes only, so make sure you consult a legal expert to suit your specific needs. All owners are required to register their business, obtain a business permit, and secure an EIN. For general business inquiries about establishing an entity and setting up a business structure, refer to the IRS to be sure you are following the correct protocols. While most photographers describe their business as a service, states with sales tax laws usually see your work as a product. This means you should determine whether you need to get a sales tax license in the necessary states. 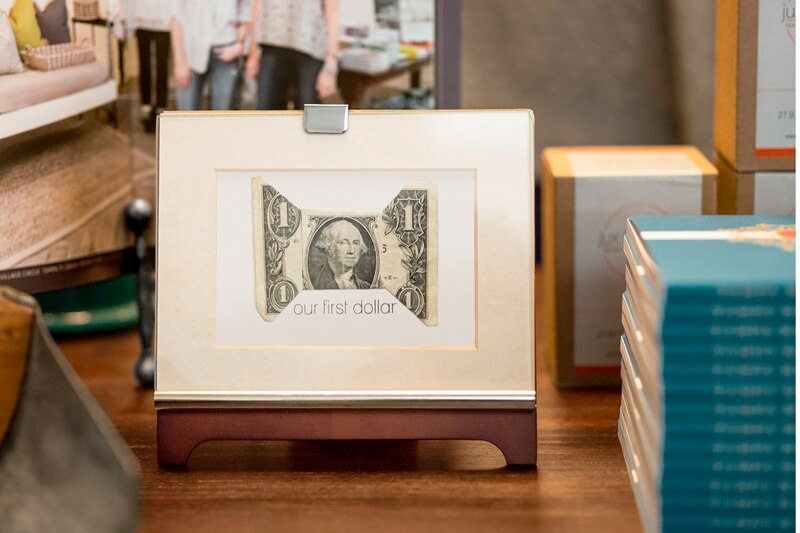 While you may not have to collect sales tax on all services provided, it is important to obtain the specific sales tax certificate for your state, so you are able to sell your photos. If you are considering freelancing for a newspaper or magazine, you may need to consider a press pass (this is usually provided by a publication). Many freelancers need access to events, and organizers often grant credentials that allow an individual to photograph an event. Another big legal consideration to take into account is copyright law. In general, as a photographer, you have exclusive rights over the reproduction, copy distribution, and display of your photos. However, those rights can be handed off when a client hires you for a job, depending on the agreement between you and the client. To use these photos in your portfolio or promotional campaigns, you may want to consult with a lawyer to create contracts that address copyright issues with each of your clients. You should consider general liability coverage to protect you from unforeseen accidents during a photo shoot or at an event. Additionally, many photographers insure their equipment, which is another expense to take into consideration. Learn more about general business laws and small business insurance and how it can mitigate risks as you open a photography business. Most people consider starting their photography business from their homes. This can save you a substantial amount of money, but make sure you can convert an area in your home to a workspace where you can work and store equipment. But if you are considering developing and printing your own work, you may look into renting a workspace as opposed to working at home. Leasing studios vary based on location and size. Ideally you want a space big enough to store equipment and other miscellaneous props needed during photo shoots or events. Some photography business owners have an in-house production space as well, where they can conduct photo shoots indoors. You should plan for these startup costs when you first open your photography business, but you should also plan for other costs that you will incur as you grow your business. Whether it’s investing in new equipment or expanding your workspace, start thinking now about how to finance expenses that you can’t afford out of pocket. Whether it’s through friends and family or more traditional business financing options, make sure you take out a loan that best fits your current financial situation. With all of these costs top of mind, you want to plan how you will make money (and become profitable). And the key to that is learning how to appropriately price your services. Determining how much to charge for your photography is both an art and a science, and it takes careful planning to find that sweet spot. First you need to decide the pricing structure. Should you charge by the hour or by the photo? Your answer likely depends on the specific service you are providing. For example, photographers who specialize in event photography usually charge by the hour while portrait photographers might charge by the picture. You should look at all of these factors, as well as the cost of your time (on the physical shoot and editing), when developing a pricing plan. You might also look at the pricing structures of competitors in your area to determine what customers are willing to pay. The goal is to make sure your pricing appeals to potential customers and gives you a profit. You’ve determined the cost to start your photography business and created a pricing plan that will make you profitable. Now it’s time to think about taking payments from customers. A reliable payment processing system that is seamless for customers is key for your success. Make sure your payments system can take all forms of payment, whether it’s magstripe, EMV, or NFC payments like Apple Pay. Many professionals use photography invoices to bill customers for their services. You’ll want to invest in a reliable invoicing service that makes it easy to create invoices and send them in seconds. With an integrated professional services POS system, you can easily manage your payments as well as other processing functions for your photography business. Look for a POS system that stores customer information so you can easily access contact information to create invoices or email marketing campaigns. You might also look for features like business analytics and integrated appointments as well. With your business plan in order, it’s time to turn your attention to finding clients. Marketing your business is crucial, and your portfolio is the best tool for selling your photography. A photographic portfolio is a simple collection of your work with a unifying theme or style. Think about what message you want to evoke and make sure you are displaying a variety of techniques that support that message. You also want to think about how customers are consuming your portfolio. Do you need a physical portfolio? Or is a digital medium more appropriate? Including a portfolio when yu create a photography website, for example, allows potential customers to quickly find your work and refer back to it at any time. You might also experiment with creating a portfolio on a social platform like Instagram. Anyone who starts a business has experienced that unnerving fear of failure. But don’t stress out (easier said than done, we know). It’s completely normal to think about the future of your photography business and what you need to do to guarantee success. Here are some great tips you can apply when you first start your photography business. Know your competitors: When you start a photography business, you need to have extensive knowledge of your market and competition. Find out which photographers in your area have a similar style or specialty. Brainstorm ways to get ahead of your competition so your photography business is top of mind for clients in the area. Utilize a customer feedback program: One of the best ways to continuously improve your business is to seek feedback directly from your customers. That way, you can receive insight on what they loved as well as any issues you might need to address. Invest in the community: It is important to build your brand in the community when you are first starting a photography business. Whether it’s taking photos at local farmers markets or volunteering your services at charity events, do your due diligence in your community. Utilize scheduling software to maximize your appointments: An online system allows clients to book appointments on your calendar, which eliminates phone tag and allows you to build out your schedule. Create client contracts: Creating contracts with your clients is a great way to set expectations and manage a relationship. It will help you increase your professionalism and encourage others to work with you. Square offers a suite of free contract templates that can help you quickly create contracts and develop a frameword for success.